Brain-based learning promotes the idea that children learn faster if they are taught differently. But why push children to learn faster than ever before? Why turn children into adults before they are ready? What’s the purpose? Brain-based learning is motivated by the general belief that learning can be accelerated and improved if educators base how and what they teach on the science of learning, rather than on past educational practices, established conventions, or assumptions about the learning process. This finding—that learning effectively improves brain functioning, resiliency, and working intelligence—has potentially far-reaching implications for how schools can design their academic programs and how teachers could structure educational experiences in the classroom. Science of learning? No Child Left Behind used the word “scientific” all the time to push draconian practices on our students, teachers, and schools. How does brain-based learning connect with the theories of Piaget, Vygotsky and other developmental psychologists? How does it change learning theories that have been proven through time? Accelerated learning is being promoted aggressively breaking down tried-and-true teaching practices used in public schools. It’s also used to criticize teachers and condemn the teaching profession. But most seriously, what has it done to students? Look at kindergarten! Children are now pushed to read earlier than ever before. Play was pushed out years ago. Consider adolescents who are pushed to do college work in high school instead of enjoying themselves as teenagers. How will any of this education on speed dial improve the quality of life for the child—and society? While there is research surrounding neuroscience taking place every day, and President Obama has steered billions towards Brain Research through Advancing Innovative Neurotechnologies, how to convert brain research into the classroom is less clear. Certainly, studying the brain and learning about behavior is critical. We need to understand brain disorders. There is nothing wrong with better understanding how children learn either. Helping children with disabilities that interfere with their enjoyment of life are welcome! It is the idea that we need to make a smarter child…smarter like a robot. And most troubling is that almost anyone can claim they are an expert in brain-based learning! Many educators promote brain-based learning ideas but they are not neuroscientists. Here is a section from the 2003 “Brain Scam? Why Educators Should Be Careful about Embracing ‘Brain Based Research. '” by Olaf Jorgenson. Limited findings in several instances have led to an avalanche of speculative “brain research” assertions from educational consultants and professional developers–nonscientists–initiating and propogating numerous misunderstandings and myths in the guise of science. This speculation in turn has led to widespread commercial exploitation of teachers and school systems eager to implement promising (if pseudoscientific) educational programs and products. So is any of the new “brain science.” really new, or really science? Should kindergarten be the new first grade? Second grade? Eighth grade? Why push a 3 old to learn like a 5 year old? A 5 year old like an 8 year old? When does it stop? How many children have reading problems due to being made to read earlier than they were developmentally ready due to brain-based learning? How many solid reading instructional practices have been thrown out in the name of unproven testing and profit-making brain-based programs by non-neuroscientists? What about privacy concerns? Tracking a child’s brain activity can be concerning. Do we really want our children driven to perform at higher levels without clear understanding of how it will affect their mental and intellectual health in the future? What are the repercussions surrounding the stress on students that pushing children harder and faster will involve? How will such a drive affect students who work slower but who think thoughtfully about ideas and the world around them? What about children with learning disabilities who will understand information if one only slows down and helps? We already have a job problem. If students are forced into the job market earlier, will they be able to find work? Indeed, brain-based learning has landed in the laps of a lot of parents and educators who now feel pressured to make sure their kids will find their way in the competitive global economy. It reminds me of Rick Moranis’s character in the movie Parenthood. He teaches his 3 year old daughter how to figure square roots and chemical equations. He looks down on his brother-in-law’s child who is a free spirit. But the quality life becomes so unpleasant he risks losing his wife and daughter! It also reminds me of the 2010 New York Times article describing a push for children to skip picture books and jump directly to chapter books. I wonder how many children missed out on all the wonderful picture books that teach great meaning in life. It makes no sense to push children out of childhood for some far-fetched futuristic notion that children can become more advanced by learning faster. Our children are not guinea pigs. Any kind of brain-based research in our schools should have a clear outline of its true benefits for children. And if you disagree, take a good look at your child on Christmas morning. Being a kid goes by fast enough. Below you can view Professor Daniel Willingham’s video about why we should ignore 90% of brain-based research in the classroom. He is a psychologist who studies cognitive neuroscience. Jorgenson, Olaf. “Brain Scam? Why Educators Should Be Careful about Embracing ‘Brain Research’.” The Educational Forum. 67 (4): 364-369. “I think one of the most transformative pieces of addressing achievement gaps is, as I’ve been speaking about, needs to start with high learning expectations for all students, and that’s something that can sometimes make people feel uncomfortable. We approach the work occasionally with preconceptions about what students can and can’t do and what certain students can and can’t do. … It’s not a question of what a student can and can’t do. This idea that students are somehow stuck in discrete developmental stages has changed, this idea has changed in the half century since Piaget was writing about developmental psychology. Now the consensus seems to be much more that students can achieve things never thought possible, provided the right supports. So we need to start the achievement gap question with Do we really believe and do we really have high expectations for all students?” If you skim the myriad expectations for first graders in the EngageNY (Wagner’s pride and joy) ELA curricula on Early World Civilizations, you will see that 6-year olds are supposed to grasp and explain the significance of the Code of Hammurabi, along with 80 other tasks in this one unit. https://www.engageny.org/resource/grade-1-listening-learning-domain-4-anthology-early-world-civilizations These children are six! Of course children can accomplish amazing things, but not when their psyches are crimped and frazzled by expectations developed by adults who apparently never interacted with a real child. The children in R.I. lost out with that guy, Sheila! I am proud that you stood up against him. Thanks for reminding me of this. In my experience, binding neuroscience and education together does not necessarily have the goal of attending to skills and content at an earlier age. It brings a challenge to instructional practices that may be antiquated and inadequate for a plurality of students. In fact, much of mind/brain research speaks to limiting stressors and understanding how the brain works so as to maximize potential at any age. There are also some really enjoyable strategies in these methods that involve gaming and accentuating failure as a great way to learn without attaching a debilitating grade to it. You make a lot of unfounded assertions in this column, and frankly, I believe you’re completely off the mark with your analogy of a child on Christmas morning. To me, there is one primary essence of mind/brain education – why wouldn’t it make sense to know how the brain works to reach your students, who have different challenges and foundations,as best as you can. Please check out Dr. Willingham’s Youtube under references. And let me tell you I am being kind in this write-up. Some call pushing students beyond their abilities abuse. If it is an enjoyable activity and reduces stress it is not what I am talking about here. Nor is it probably anything that is innovative.brain research. Lots of bogus stuff out there. I think we may be closer on this issue – I do believe there are lots of fads and bogus methods out there. Like anything in the market, education is an industry. That’s the main reason why edtech is saturating schools and districts. Dan Willingham is someone I’ve been very much connected with over the last 7 or 8 years. Also, resources through Johns Hopkins, Stanford, etc. I think cognitive psychology and neuroscience can be combined, so then, I suppose, we need a new “term” or label. Not mind/brain, not brain-based. I am school administrator in a private high school. I try to sift through the fads and the bogus stuff. I think that teaching students to read too early is a huge mistake. I think that middle schools attempt to force higher levels of math on students too early, which leads to more deficits down the road.. I know that education is about more than the brain, but I think that it’s an extremely valid area of research with which to become familiar, and we have to be careful not to dismiss the valuable aspects of it. Sure! I am not against studying the brain. Here is what you might have missed in my post. But the reality is looking at an MRI may show interesting info. but it is more difficult to use that info. in the classroom. I’m talking about the charlatans who profit by pushing unsound programs meant to increase intelligence in children. Or those who state as brain-based research principles we know are just common sense…like the brain needs to be hydrated. Or children need to learn on a full stomach. School reformers love it because they can state our public schools and teachers are failing with what they have been doing all along. That’s just bogus. I’m with Christopher. What I’ve read about “brain-based” learning (which I think should simply be called “cognitive learning theory”) is that it is not just based on neuroscience but also on psychology, sociology, philosophy, and many other fields, and is a natural extension of the cognitive principles of Piaget, Bruner, Vygotsky, etc. Willingham’s video sounds like gobbledeegook to me, while the “brain-based” theories of Caine and Caine, for example, are fascinating. If we as educators are ever going to be taken seriously as professionals, we have to know all we can about how people learn, not only to facilitate learning, but to be able to know what is true and what is not, and why. I commend Christopher for working to do just that. We know that Common Core was written without any knowledge of child brain development, and any eduproduct that claims to be “brain-based” should be immediately suspect. Cognitive learning science is continually developing and its ideas cannot be easily packaged in a product; they need to be understood in depth by each teacher to form a framework or schema on which to base lesson design. Rebecca, I think you missed the part where Christopher and I agreed on some things including Dr. Willingham. Also, it would help I think if Christopher was more specific about “antiquated instructional practices.” And he mentioned gaming which is online I believe. Where’s the proof this is beneficial? Give me some research, Rebecca, that isn’t by the same people selling their brain-based program! The Caines you speak of are educators. They market themselves and their ideas well, but I know of no research showing their ideas work with children. They seem to be all over the place with their intended audience. And I also am pretty sure Piaget, Bruner, Vygotsky etc. would not be pushing children to learn earlier beyond their development–the whole purpose of my post. There are some reformers who will use brain-based learning to forward their agenda. I agree with Ohanian that the problem is that there are people trying to force us to go back to stimulus-response learning, which is not “brain-based” because it is not holistic, and away from modern cognitive theory. The problem seems to be the misuse of the term “brain-based”. Obviously Common Core did not use “brain-based” learning, since so much of it is developmentally inappropriate or limited in scope, and somebody talking about “executive function” (as if that were the be-all-and-end-all) doesn’t make it so. There is nothing wrong with neuroscience, but by itself it doesn’t lead anywhere, and focusing on just one brain function does not help form the framework that we need. And the stimulus/response of Skinnerism, which thinks of the brain as a “black box” that cannot be understood, is the opposite of modern cognitive theory. To me, “antiquated instructional practices” would be for a teacher to teach the way they were taught without reflecting and without using a cognitive framework, or to assume that all students should be able to learn the same way that that teacher does. Video games that are educationally well-designed can certainly help students learn because they help with motivation, and I’m sure I’ve seen studies that show this, though I can’t point you to them. I know a video game called Math Blaster helped my son learn his math facts. And he learned a lot about the history of China from a video game called, I believe, Warcraft, that was not particularly meant to be educational, but this is what is called “incidental learning”, which has been shown to be one of the most effective ways of learning. But software that is used in the educational process has to be well-designed and fit into the cognitive framework; it’s only one possible component. I think we’re on the same page as far as our goal of not having eduprofiteers use buzzwords to sell their ineffective products. But it’s important to realize that it’s the concept, not the label, that’s important. We can’t condemn all ideas under a particular label just because some are using the label incorrectly. A profession requires a specialized knowledge, and in our profession that is cognitive learning theory. We have to be very conversant with the concepts in order to expose the frauds. Everything can’t be “proved” using studies. There are quantitative studies that are not peer-reviewed or replicated and so should not be held up as “proving” anything. Some things we know work for us in our classrooms, but there are not yet studies to “prove” to others that they work, because they need qualitative studies that are much harder to design. However, a good understanding of cognitive theory can explain why they work. There is a large body of work in cognitive learning theory, and we have to be able to explain those concepts to push back against the fraudsters. I agree that we are not disagreeing. Thanks, Rebecca for such a nice write up. The term brain-based learning is a inherently flawed and has been since it became popular back in the 1970s. ALL learning is brain-based! What educators should focus on is brain-COMPATIBLE learning…which is the antithesis of forcing them to be “taught” literacy at an earlier and earlier age rather than continuing to learn in the authentic play-based, self-directed ways that have served them so well since birth. It is only when they are ripped from that natural learning environment and forced to sit still and listen to a teacher that the whole process becomes brain-incompatible because it is developmentally inappropriate. Forcing young children to “sit still” has also been shown to restrict the development of their motor skills. Not to mention the stress that they experience when they are forced to do this for which they are not developmentally ready. Articles such as this abound, but we are all preaching to the choir. What can we do to help parents understand what is being done to their children? We’ve seen the power of parents in the Opt Out movement, but that is only the tip of the revolution that has to occur to save our children from the educational malpractice that has proliferated since NCLB, despite mountains of research to the contrary. The new threat is a tech take over and no more teachers. Everyone who gets it is looking for solutions. Hope it happens. Thanks. The main problem with ‘brain based learning’ is that the field is riddled with rubbishy ‘neurobabble’ that is not actually based in sound science at all. But you are right about the dangers of ‘too much too soon’. Child Development, unlike ‘neurobabble’, is a much neglected essential field of study. Thanks, Roger. Once again we see comparisons between England and the U.S. I agree that kindergarten is too early to force students to learn to read. It is also too late to force students to learn letters and their sounds. That is because every child is different, something our chronologically-based school system fails to really consider. My children entered kindergarten already reading. We did not force it upon them. They wanted to learn to read and had the ability. Reading is a large part of play to them. Being in a kindergarten classroom not learning would be frustrating for them. Other kids need kindergarten that is play-based or perhaps even starting school later, as happens in some countries. Some aren’t ready to learn to read until they are seven or eight. My kids thrive on accelerated learning. My middle daughter understood fractions at age 4 and wants to zoom through math. Other kids need a slower pace. I’m not too concerned about which buzz words are popular in education. I’m more concerned that the education establishments learn that different kids need different help, different programs, and different rates of learning. Hi Joshua, I love what you said. And I think you know that I am all for letting students soar ahead when they are ready. I have written a lot about gifted programming and highlighted your planned program. It is sad to have a child stuck in a class that is working on concepts they already understand. That is not the kind of acceleration I am talking about. I am referring to the intentional push to claim children should be taught way ahead of their development due to, as Roger mentions above, “neurobabble.” There are a lot of educators and salespeople cashing in on neuroscience and schooling when the connections are unclear. An MRI shows something interesting connected to dyslexia, well how does that translate to practices in the classroom? That is my point. 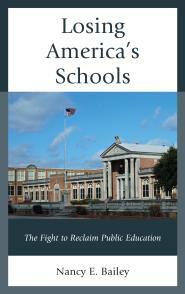 I am also concerned with many of the “reform” ideas that are being used in our schools. “Brain based” learning and “personalized learning” may be able to accelerate learning without damaging children, but we don’t know. That, to me, that is the crux of the problem. We don’t seem to beta test anything anymore. I applaud those who take research into brain function and turn them into methods of teaching. But somehow, in the rush to market, the trial phase seems to have been shortened. States and Districts are introducing “revolutionary” new methods without peer reviews, without replication and without proven success. Certainly without long term study into the effects of the new methods. This amounts to experimenting on school children. Without parental consent. It puts children’s education at risk, with no true idea if it will be better than the old methods. I appreciate this, Sue. There should be pilot testing of new ideas. Also, school boards should examine programs thoroughly with the community and especially the teachers and parents. Many of the methods used in progressive/alternative schools have been “tested” for over a hundred years…by people like John Dewey, Maria Montessori, Reggio Emilia schools, etc. Yet despite their success in helping learners develop all the domains of being human (mental, physical, emotional, social, creative, natural, and spiritual (self-knowledge), they are ignored by public education. 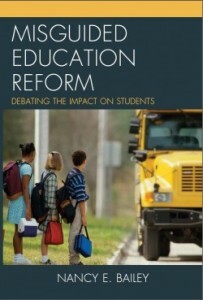 Instead, policy makers continue to look for “the answer” to education effective. Right now, that is technology. Technology is a tool…it is not a panacea and it certainly can’t replace a teacher. I’ve been in schools where I did not see a single laptop, tablet, or smart phone (except in the teacher’s room) for the entire day. Do these children use technology? Certainly…but the focus in the learning environment is collaboration, active learning (on “real” rather than virtual topics), and self-directed activity. Is that necessarily right for everyone? No more than the one-size-fits-all education we now have is right for everyone. If we really want “school choice” without destroying public education in the process, why not divide large existing school buildings into several smaller schools, each of which uses a different “proven” approach? Parents/children would then have a choice of which program to attend. The programs could range from play-based preschools to traditional “age-graded” programs to STEAM focused learning, to largely self-directed education. The possibilities are endless and would offer each child the environment he or she needs and for which they are developmentally ready. The belief that learning requires direct instruction is a major obstacle to the growth of brain-compatible education. The first thing that has to happen before any of this can work is that the definition of “success” must change. As long as the first thing mentioned is test scores, there is little or no hope that people understand developmental differences or anything related to “learner-centered” education, on which Montessori and similar programs are based. Neuro Science is telling us more and more about better ways to intervene when children show warning signs for Dyslexia. Ignoring this, diminishing and fearing science in this domain and then stating that tried and true methods and wait to fail models are working for Dyslexic students is troubling. Why not be open to what science is telling us and grow in your profession.